The bride can wear a tiara and the bridesmaids can have a halo. Create the halo with a long fishtail braid. This is one of the best styles for longer hair. 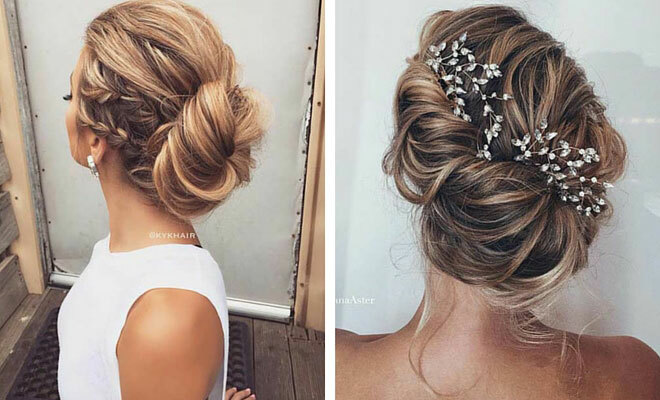 Having long hair makes one of the best-looking bun hairstyles. 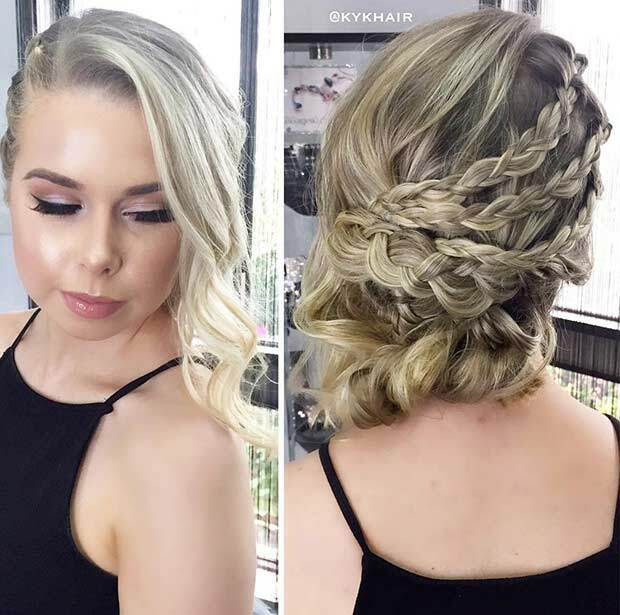 You can truly create a sweet and cute bun shape that will complement this braid. You can even decorate around the bun with a hairpiece, like the photo above. Side braids will look divine on the photos. Try to opt for a classic look like this side braids which morph into the big bun at the back. Concentrate on the side and leave the top full of volume. This is simple and super-fast to create. Don’t be fooled by the name, chignon is a French word meaning hair bun and they tend to be pinned rather than wrapped around. They are usually large, formal and worn low on the head. This will take no time to form and all you do is simple use a central pin and tuck it under. Create this stunning hairdo by mixing fishtail and French braids. If you have booked a hairdresser, you can ask for any creative design you wish. You might have fallen for this style, which is understandable. It’s classy, chic and tasteful. This will work so well with a backless dress. Messy hair updo suit all hair types and face shapes. 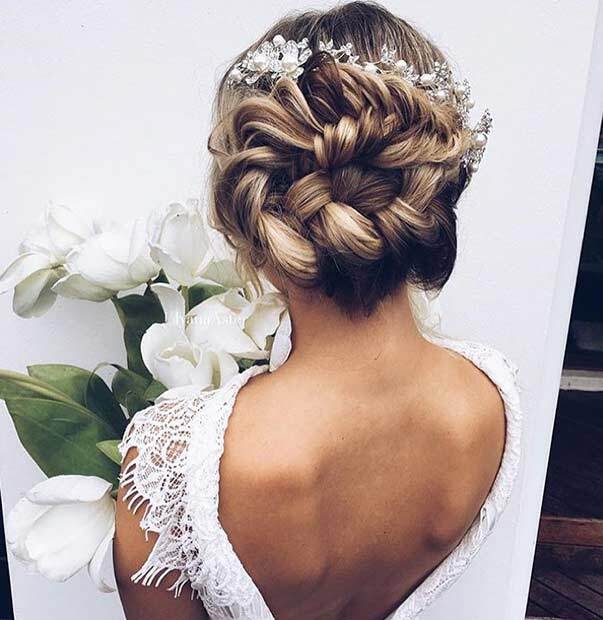 For a bride choosing a hairstyle for more than one bridesmaid can get stressful and time consuming. As this is versatile, this is a good option. 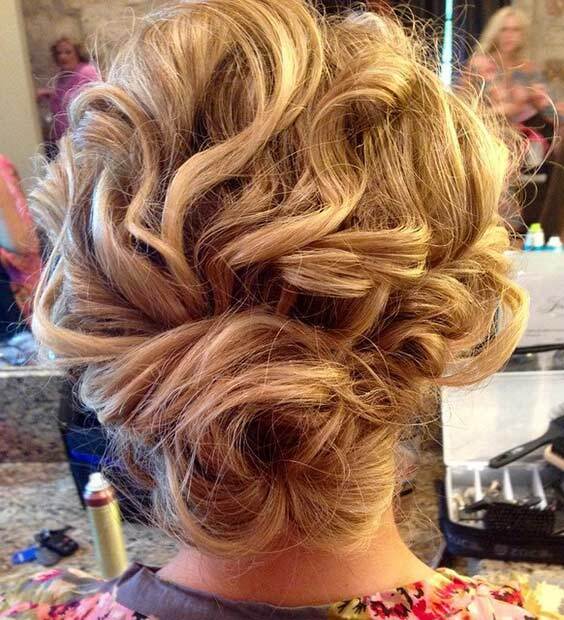 Nowadays, many brides are choosing a messy style updo for their bridesmaids. Sleek and neat hair was so last season, make way for the messy hair, girls. The classic ballerina bun is timeless. Add your version with this braid wrapped high bun, which looks spectacular. Loosely tied back with a wrapped around braid creates a classy and stylish hairdo. This works well with long hair as this then creates the voluminous bun. Sweeping hair to one side forms a delicate and chic style. It adds the red carpet look that’s trending everywhere. 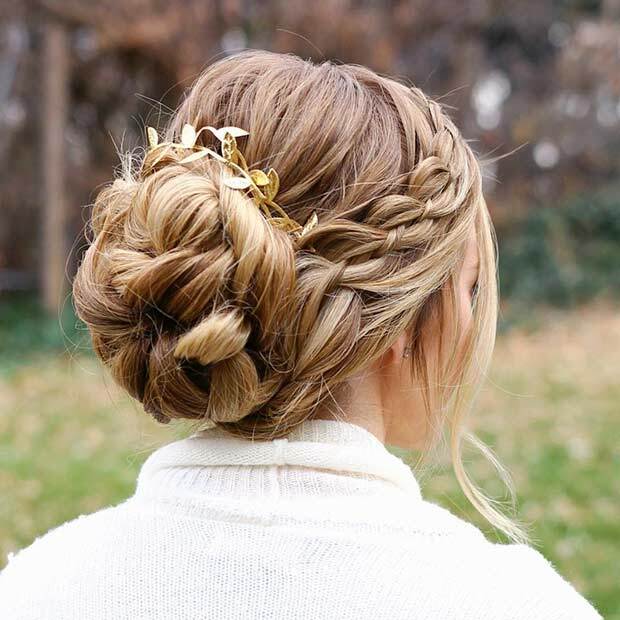 This side swept updo looks regal and gentle. Very easy to style and maintain. From the front you have a few wavy strands that hang down one side of the face and the back shows the creativeness behind it all. Curling hair before tying it back add that extra lift and volume. 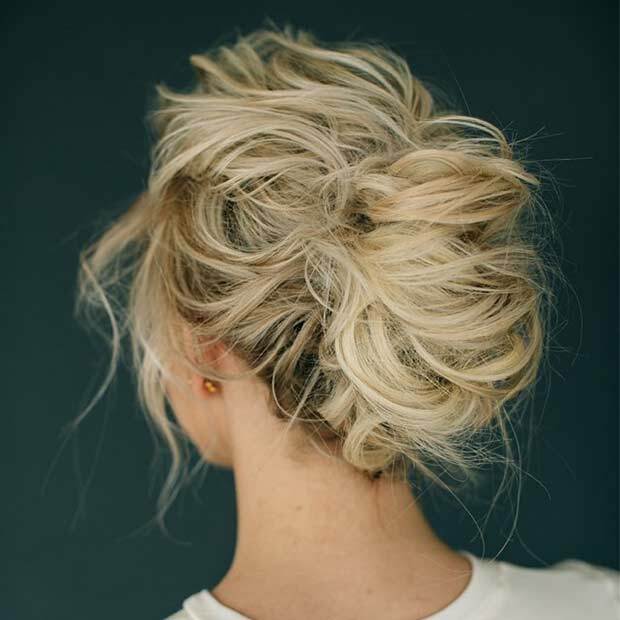 There’s nothing quite like a curly hairdo that is made into a simple bun. You can see all the gentle waves all around her hair. Go for the stunning style. This is a classic 90’s style that looks amazing in today’s world. Make sure you tease a little for that extra boost. Loosely tie back and ensure you add shine spray so when the lights hits your hair, it will look fabulous.